St. Thomas’s Day School’s Upper School program further strengthens fundamental skills and deepens conceptual understanding through interactive learning across curriculum areas. We encourage responsibility to self and others. 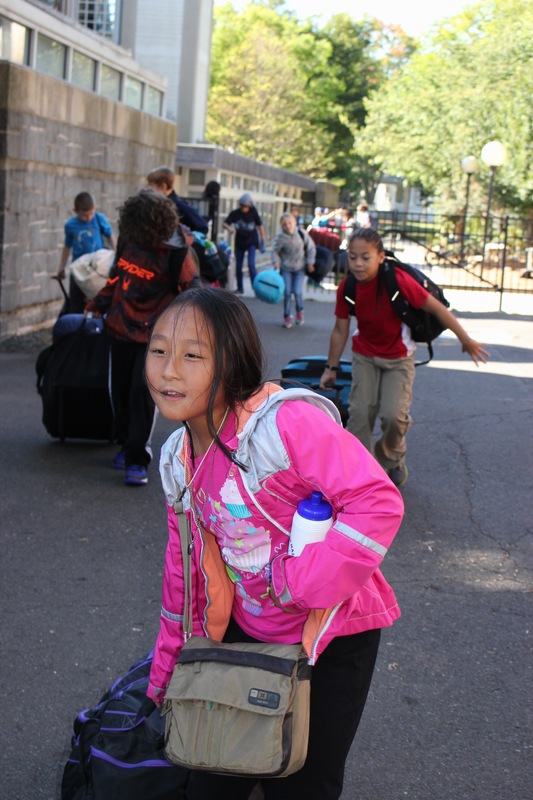 Students in grades 4 through 6 are entrusted with leadership opportunities and greater involvement in the community with the goal to give each child the tools to face the future with self-confidence and an understanding of the global environment. The educational program, under the direction of the Head Teacher, is sequential and includes the study of the language arts (reading, writing, listening, and speaking), mathematics, and social studies. Special curriculum areas in art, computer science and digital literacy, library, music, physical education, religious education, science, and Spanish complete the program. The wide range of technologies available to teachers and students enhances teaching, learning, and communication skills to prepare students to meet future challenges and experience success. Field trips are integrated into our program. Experiential activities include day and overnight trips to Nature’s Classroom, New York City, Boston, Philadelphia, and Washington, D.C. and serve to enhance an understanding of the larger world.